During the 1988-1990 period, the state security apparatus under the political direction of President JR Jayewardene and President R Premadasa is said to have killed about 60,000 young people in the south and the JVP also went on a killing spree on the pretext of opposing the 13th amendment to the Constitution of Sri Lanka. During the same period, Lieutenant Colonel Nandasena Gotabaya Rajapaksa was said to have been in charge of the Sri Lanka Army base in the Matale district and responsible for the lives of thousands of youth that had disappeared. In April 2012, when the FSP was preparing for its first congress, it became known that Kumar and comrade Dimuthu Attygalle had been abducted and their whereabouts were unknown. Members of the FSP in general, and the two kidnapped members in particular, had been under surveillance of the state security forces. According to Dimuthu, her abductors had bundled her into a van and blindfolded her. While being held, her legs and hands had been chained. However, the abductors had repeatedly denied any connection with the state, but had questioned her if the FSP had any plans for military activity, any foreign or LTTE contacts and any sources of funding. After Kumar’s release, Dimuthu had been dropped at a place close to the FSP head office. 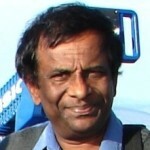 In the late 1980s, Kumar had been a member of the JVP’s Socialist Students’ Union, and taken part in the JVP’s campaign against devolution of power and the Indo-Lanka Accord. The JVP had been involved in killing many workers and its political opponents, who did not support its stand on Indo-Lanka Accord. He had led the JVP in a military campaign against the Indian Army in the Trincomalee District in 1989 until he was arrested. 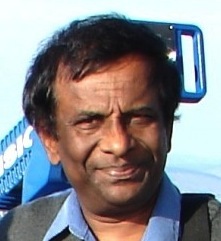 Kumar later fled Sri Lanka to obtain Australian citizenship. Dimuthu had also been a member of the JVP’s Socialist Students’ Union since the late 1980s and has been the organiser of the FSP’s Socialist Women’s Union. Despite these circumstances, many in the JVP and some other commentators expressed the view that this ‘disappearance’ was an inside job. According to them, the abduction had been stage managed by them to gain publicity for the FSP’s first congress and or to embarrass the government. In addition, stories to the effect that Indians would have played a role in this abduction as Kumar was an explosives expert involved in planting road side bombs to kill Indian Peace Keeping Forces (IPKF). The Defence Secretary and the state propagated the idea that there could be many more cases like Kumar, who have assumed new identities for political and economic reasons. When Kumar emerged from his abduction, the Island’s ‘defence’ journalist wrote that no less person than Australian High Commissioner in Colombo, Robyn Mudie, produced Gunaratnam’s passport issued courtesy the government of Australia bearing the name Noel Mudalige. Sri Lanka requested HC Mudie to prove Gunaratnam’s arrival in Sri Lanka after she sought Defence Secretary Gotabhaya Rajapaksa’s intervention to locate the missing man whom she identified as an Australian citizen. Sri Lanka requested the top Australian diplomat to prove Gunaratnam’s arrival in Sri Lanka as records at Bandaranaike International Airport didn’t show any Australian passport holder by that name entering the country. The abduction of Kumar and Dimuthu was condemned by many including the current Prime Minister (then the leader of Opposition) Ranil Wickremesinghe who stated that continuing disappearances, in spite of the conclusion of the conflict in May 2009 proved the deterioration of law and order and the government’s failure to tackle the situation. To clarify matters, I will refer to certain statements Kumar and the then High Commissioner of Sri Lanka in Australia, Thisara Samarasinghe had made during the ABC Lateline Interview held on 11 April 2012. According to Kumar, who took part in the interview while at his home in Sydney, he had been a long time JVP activist, and he had not committed any human rights abuses. Nevertheless, he said, he had to respond to certain challenges posed by the anti-democratic activities of the Sri Lankan state. Kumar had been in Sri Lanka on an Australian passport under the name Noel Mudalige, since September 2011 prior to the launch of the FSP on April 9, 2012. He was to speak at the inauguration of the party. However, he was abducted on the 7th. The National Organizer of the Socialist Women’s Union and the Secretary for Women’s and International Affairs of the FSP. According to the information, there had been 29 disappearances in Sri Lanka between February and March 2012, and a total of fifty-six disappearances over the six months prior. FSP activists Lalith Weeraraj and Kugan Muruganandan had been abducted on 9th December 2011 in Jaffna and not been seen or heard since then. There has been no information or credible investigation into their disappearance despite widespread protests, local and international campaigns and a habeas corpus petition filed at the Appeal Court in Sri Lanka. Well, if I recall the JVP was opposed to the 13th Amendment. So if the JVP was against the 13th amendment, naturally one would expect the JVP to engage the Indian Army militarily first and then the Tamil nationalists. The fight should not be in Matara but up north. Why on earth did the JVP start killing the Sri Lankan army soldiers? They begin killing not just the army but innocent family members of the army too! The army was at one stage fighting the LTTE & the JVP simultaneously. What kind of donkey Marxist was involved in this kind of decision making? I would imagine it would be the same kind of donkey Marxist who tries to turn Sri Lanka into Fidel Castro Cuba. Although when the crap hits the fan flees to Capitalist Australia! By taking on the SL Army, Kumar Gunaratnam’s JVP was not fighting against the 13th amendment. In fact he would have been for it – or even more. He was just taking the JVP donkeys for a ride. Exactly, so did Somawansa, Wimal Modawansa and a few others. Where were you all this time ‘Goda Dosthara’, and who gave you the doctorate?. I bet it was bought cheap as you could not afford it as a ‘JVP er’. All this from those who pretend to follow the teachings of Lord Buddha. We have become a land of brutal killings, violence, corruption, communal disharmony, and those we elect, or do not elect as in the case of that criminal Gota, have brought us shame. The unfortunate thing is, no one is ever held responsible and made to pay. How can we expect other nations to trust us, when we have shown we are nothing but a banana republic with dishonest and brutal leaders who kill their own? Lionel Bopage… Get loss man. You all are the people who misled Youth. The fact that they were “abducted” and later released point to state security. Later Gota said information was given by Anuara kumara. Of course during the last patriotic war JVP was hand in glove with gota. But to abduct persons due to information given by political rivalry is absurd. JVP was there at that time is there to day for they themselves. Just like other politicians, they manipulated youth for their own benefit. Innocent youth were killed, JVPers are living good lives. Some are well known public thieves. How did Australian Noel Mudalige become a candidate in our elections using a false name and very likely a false NIC? Has he been prosecuted for this? Mr Mudalige like all others must have lost his SL citizenship when he became Australian. Even if he were a dual citizen which he is not he should not use different names in different countries. piece? Readers don’t like to wait for installments for things like this. Who has not realized that principle of political economy system of capitalism. He save for moribund bourgeois class of Neo-Liberal politics that represtantive of JVP and Frontline Socialist Party of which the splinter group of anarchist politics originated by PDN Wijeweera or Rohan or Attnayake. We understand his role and save for what class! That is also type of politics of lumens.